This is an intense emotional descriptive story of human existence and the trials one faces and how they deal with their raging inner conflicts and emotions from trust to betrayal, jealous to acceptance, intolerance to tolerance, experiencing the sweet intimacy of loving one so deep it jars the soul to the core. And whatever comes along, to not give up and learn to accept life as its come with the joys and sorrow and everything in-between with everyone you meet along the way, be it family or friends and not judge them by their race, gender or beliefs. When someone is hurting and raging through their agony of grief to stand quietly by and help them recover from the assault on their soul, love them unconditional and be your own person living life to the fullest, no matter how many lightning bolts decide to strike. 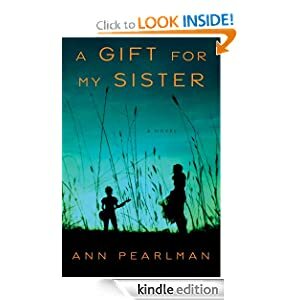 This reader desires to include some writing of this insightful life tapestry of the two half-sisters and had their struggles and acceptance was a gift to a sister. This book is about life's hardships and two half-sisters, Sky, a lawyer and Tara, a rap star who were estrange until the lighting of tragedy strikes one and they both come together in grief to rebuild their broken relationship and to remember all they lost to come to know each other deeply and repair their broken bond and find their role in their large and extended family. During the roller coaster ride they call life there were lost and found and learn lessons and gain a deep bond of insight and understanding about each other, their past and what to enjoy in their future as they An event that crushes Sky’s world has Tara deciding to put the bitterness aside to come to a compromise and step up to be a caretaker to her sister Sky, yet the jealous, resentment and anger lies under the surface under the surface, like a volcano and is about to explode. For the two step sisters are walking a fragile line of caring or distancing from each other due to conflicts they can't not get pass. The tension in the plot, between the two you could cut with a knife. To add to the mix, Tara is traveling with her homies her band, and they are like family to her and now her sister and Rachael are accepted and shower with unconditional love as the clouds are threatening everything she believes in. They travelled across the states to arrive at their next schedule show, in between stopping at tourist sites and other places of interest which all contribute to the rumbling volcano waiting for a release valve. The author adds expressive details and speaks of the characters as they were her actual family and friends, he chapters about the younger sister Tara and her husband Aaron and their baby Levy is written with intensity and depth of poetic language of the deepest emotions of what ones hides but does not voiced out loud about fear, jealous and other sensitive topics. Tara and her family give the reader a glimpse in the highs and lows about the rise to fame as rap singers, the divorce of her mom and husband and the abandonment she felt when her dad walked out on the family and the resentment she held for Sky the apple of mom’s eye. The author is able to switch between characters, from the two sisters, the men in their lives, and others with an easy reading flow. This story touches and expands on many topics from love, fear, jealous, discrimination, racism, acceptance and forgiveness and all that is between. It is an intense human experience and this reader was glad to open the cover and join this creative writer on her journey to explore what one defines as existing in a crazy mixed up world and jump the hurdles with other’ support and unconditional love to awaken the next morning and see their blessings in the midst of the pain one experiences and continue forth to live another day. The story is about wounded individuals lost in the darkness and in their journey at first they were divided then come together to heal as sisters and re-join a complete extended family in their paths of self-discovery and grief and forgiveness. http://agiftformysister.blogspot.com/2012/08/reviewers-rock-review-gift-for-my.html to find out more about the book and another promotion for reviewers go to link above. Thank you so much for reviewing my book! I loved what you said about it. You are welcome Ann, thank you for sharing. It was a very deep and insightful book with a many messages that touches a reader's mind, heart and core. Wish you much success and I will always cherished the rewards from it.